Trainer of men and women of all ages with broad spectrum of goals 1968-present. Fitness Director, Jungle Gym, Flamingo, Costa Rica, 2006-2008. Trainer of pro, collegiate and high school athletes from NFL players down; trained athletes for sports ranging from basketball and football to swimming, tennis, golf, track and field and powerlifting. l968-present. Conducting TV/book project on Secrets of Senior Fitness Stars including interviews of senior champions in bodybuilding, swimming and running. Included are Bill Pearl, Mr. Universe, Frank Zane, Mr. Olympia, Larry Scott, Mr. Olympia, and Sri Chin Moy, yogi and strongest man who ever lived who in his 60s performed a one-hand support lift of 7,900 pounds (and a 2.5" calf raise of 8100 pounds), 2004-present. Started training at age 13 for sports. At age 25 was captain of Purdue's Powerlifting Team (undefeated), and at age 45 began competing in bodybuilding winning weight class or overall champion and master's division for five years running. Lake Tahoe Bodybuilding Championships, l987-1991. Basketball Captain, University of Nairobi, 1966-67. Track and field, University of Nairobi. Powerlifting, Purdue. High school basketball and football captain, competititve swimmer/diver. Soccer, baseball and basketball coach. 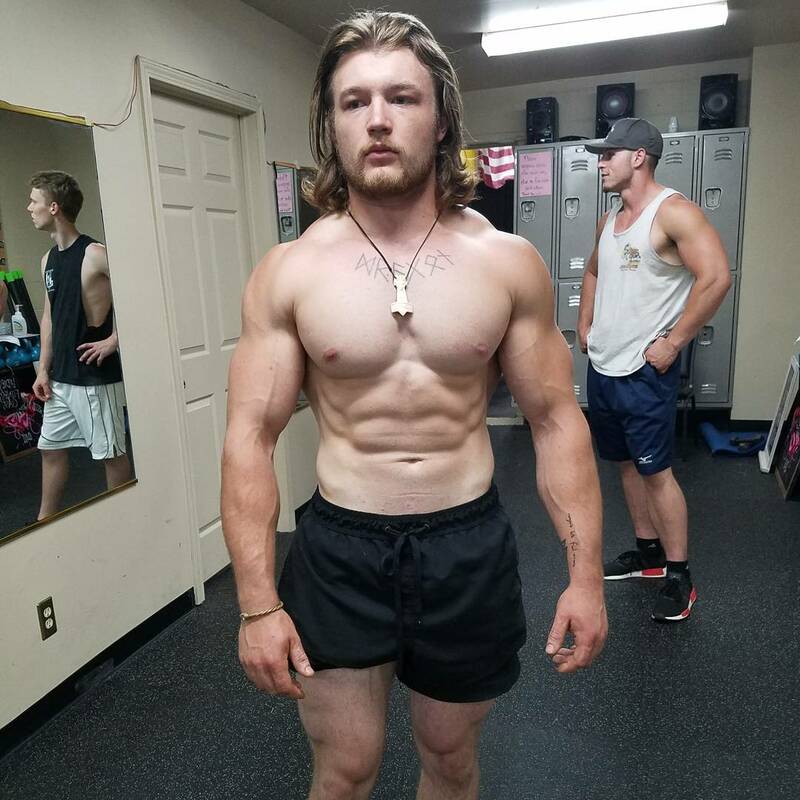 Drake Eaton, professional fitness trainer, bodybuilder and world powerlifting champion will appear in the Secrets of Senior Fitness Stars as a trainer. Secrets of Senior Fitness Stars. In addition to a professional life as a scientist, professor, author and lecturer, I have been a competitive athlete and champion power-lifter. At age 45 I took up body-building and for five years won physique contests against men half my age. As a professional trainer and fitness director, my clients have ranged from NFL players and Ms Galaxy contestants to collegiate athletes and seniors. At 32, I broke the end of my femur playing basketball. Leading orthopaedic sports physicians told me I would not be able to walk by the age of 50, but at age 70 I not only walk but also train vigorously 10 hours weekly without a knee replacement. Like many older athletes, I have had to contend with other maladies including a lower back injury incurred in basketball. I have spondolothesis, slippage of the lumbar spine where a disk has completely worn away. I also suffers from kyphosis, curvature of the upper spine caused by a compression fracture of the cervical vertebrae from body surfing in Hawaii. These injuries are potentially crippling, but I have refused surgical intervention in favor of therapeutic exercise, proper attitude, nutrition, prayer and application of principles of sports psychology. I receive no therapy, do not take hormones and use no prescription drugs for pain. I am convinced that attitude is the single most important factor in health and fitness and in all of life. Our potential is limited most by the beliefs we hold. Beliefs are powerful causes. Placebos work because of the power of belief which means that the real power lies in us. /*larryscott Larry Scott*/ Nine years ago I conducted questionnaire surveys and interviews of senior fitness stars including famous body-builders, swimmers and runners. The most remarkable was Larry Scott, the original Mr. Olympia, who at 65 looked exactly like he did at 27, from head to toe, even his face. I also was impressed by Bill Pearl, former Mr. Universe, who at 71 was getting up at 2:30 every morning to train for two and a half hours. Beside strenuous exercise, I discovered only one common denominator among senior fitness stars: everyone of them believed in a higher power. Pearl and former Mr. Olympia, Frank Zane, introduced me to Sri Chin moy, a yogi living in New York City who was inspired to take up weight lifting in his 50s and who achieved the impossible. A whimp by anyone’s standards, this man exemplified the power of faith. He did a 2.5-inch calf-raise with 8,600 pounds! That’s more than five times what had ever been done before, by one of the strongest men in the world who had used steroids for years. Equally incredible, Sri Chinmoy held up with one arm 7,900 pounds. Officials from the British Weight Lifting Association scrutinized Sri Chin Moy and gave him a stamp of approval. So did the American Academy of Orthopaedic Surgeons which invited Sri Chinmoy to their annual conference sure they would prove him a fake. The conference was attended by Dr. Larry Pedagana, sports physician, who told me, “The only thing I can tell you is that we don’t know how the man is still walking around.” When asked why he performs seemingly impossible feats of strength, Sri Chinmoy explained that he was showing people there is an easier way. When asked how he could lift so much his answer was, “I do not do these things with my mind, but with my heart. My faith in God gives me the strength.” He meditated for two hours before he attempted a lift to break his old record. Positive thoughts and feelings lead to positive action and results. The feelings we associate with the outcome empower the vision and help manifest it, an ancient form of prayer among the Essenes and Polynesians, practiced today in sports psychology and made famous by The Secret book and video. When athletes visualize performing a task and mentally practice it by imagining themselves doing it, they are more successful. There is a well known experiment in which college students were divided into three groups. One group practiced shooting free throws, the second group sat in a classroom and imagined themselves shooting and making free throws, and the third group did nothing. After an hour, all the groups were tested in their ability to shoot free throws. The group that performed best was the one that imagined themselves shooting and making free throws. When I exercise at the gym I close my eyes and imagine myself lifting the weight a certain number of times, then actually lift it, and that is how I get stronger. I am convinced that life is a game we play first in our head and heart. Imagination is the key to success. Someone said that if you can imagine it you can create it. Without positive thinking in the form of faith, prayer, creative visualization or imagination, we may be defeated by doubt, fear and uncertainty. A potent path of spiritual evolution, the highest meaning of athletic competition is not wining, but to be the best we can. My cousin, Stormy Eaton, was a national and global champion in gymnastics. Before he died in a private plane crash he had been chosen as the next Olympic coach for woman’s gymnastics. Thousands of people attended his memorial service in Scottsdale, but additional memorial services have been convened by a Frenchman who barely bested Stormy in an international competition. Why? Because during the actual competition, Storm coached the man [Steve: i.e., the man who bested him], who claims he never would have won without Storm’s help. The goal in life is not only to be the best we can, but also to help others be the best they can. ”All win” is an expression of Christ consciousness. We are One.